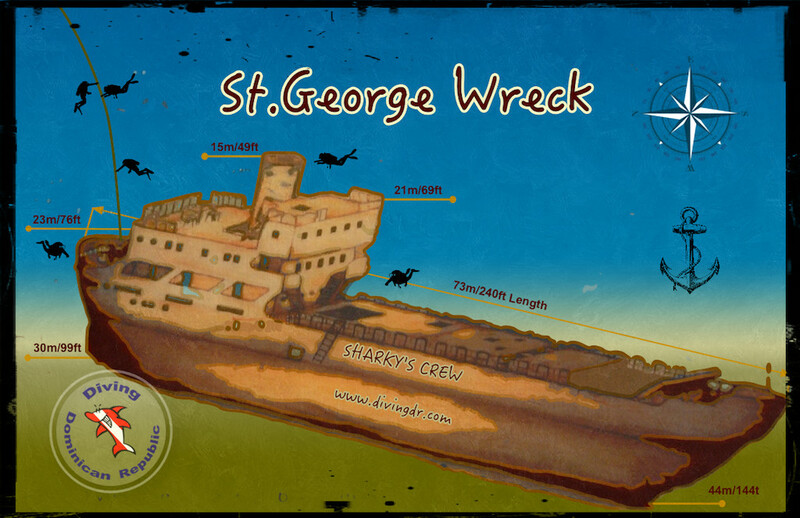 St George Wreck is one of the most favorite dive sites in Bayahibe area. The dives are always exciting. You never know what you can see while diving there, what school of fish will be passing through each other in a spectacular display. Some of our clients do 2 or 3 dives while on their scuba diving vacation in Bayahibe, to explore the whole wreck and to see every little detail. The ship was built 1962 in Scotland to transport wheat and barley between Norway and Americas, used for 20 years and abandoned in Santo Domingo port after. It was renamed St George after the hurricane Georges that hit Dominican republic (and the whole Caribbean and the gulf of Mexico) in September 1998. In June 1999 the ship was sunk about 800 m / half mile off the Viva Dominicus beach. It’s a great artificial reef, home to schools of many different fish. More experienced divers are swimming through St George wreck to explore it inside out. 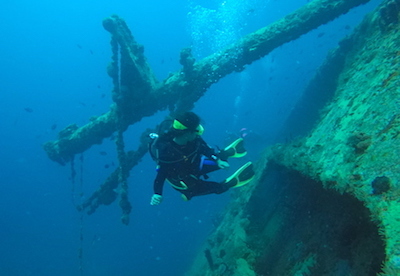 Many times this wreck dive is one of the dives for the PADI Advanced Open Water Diver course. This dive site is protected by Parque Nacional and fishing is not permitted.